The Independent has covered a report publicised over the weekend in which Greener UK concluded that there is “still a significant risk of reduced environmental protections post-Brexit”. This follows an article in the Observer that said Britain risks losing green protections after Brexit. The article was based on claims made by a coalition of 13 leading environmental groups including WWF, National Trust and the Wildlife Trust. The group has published a report which says there are "serious concerns" that the government will not cooperate with the European Union after Brexit on environmental issues, which need international agreement. We shared the below statement with the Independent. Our 25 Year Environment Plan sets out our plans to be the first generation to leave the environment in a better state than we found it, and as we deliver a Green Brexit there will no lowering of standards. The EU (Withdrawal) Bill will ensure that existing EU environmental law continues to have effect in UK law as we leave the EU and we have set out plans to consult on creating a new national statement on environmental principles and a new independent and statutory body to hold the government to account on the environment. There is coverage in this morning’s I newspaper of chickens dying while being transported to slaughterhouses. The Government shares the public’s high regard for animal welfare. Anyone moving chickens has a legal responsibility to ensure they are transported in a way that won’t cause injury or unnecessary suffering to them with the Animal and Plant Health Agency conducting regular risk-based checks to make sure stringent welfare rules are being followed. Where non-compliances are found, both APHA and local authorities take enforcement action including serving improvement notices and/or prosecution. 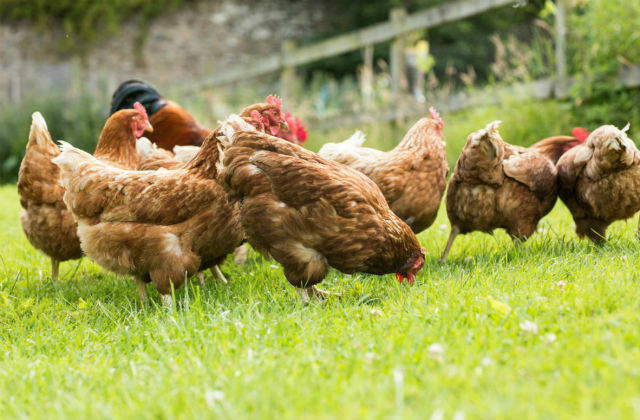 We also continue to meet with the poultry industry, FSA and local authorities to discuss how to further reduce the number of welfare incidents occurring during transport, including developing new industry-led guidance.